This door knocker is a copper plated brass version of the original door knocker designed by danish Gunnar Westman for Morsø Iron Foundry. It has been produced by Søe-Jensen & Co since 1954, and is still very popular. 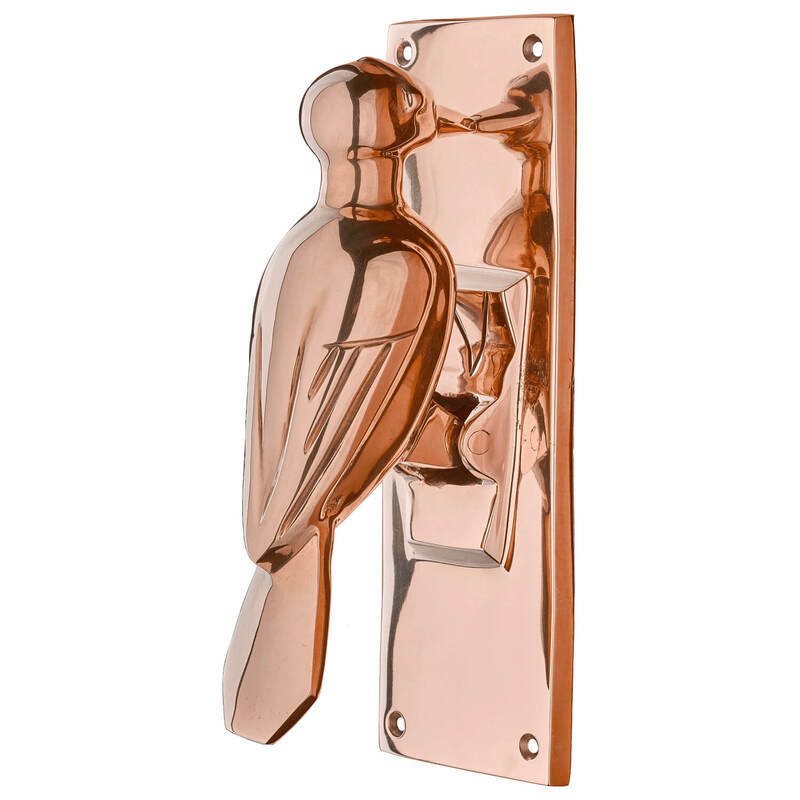 You recieve the woodpecker door knocker with screws for installation on your wooden door.